Is the ECB going to "clean up the bad apples" in the Bulgarian banking system? 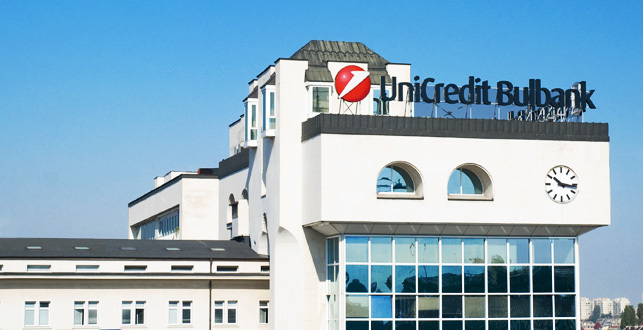 About a year and a half ago, one of the largest banks in Europe – UniCredit – unprecedentedly increased its capital to offset huge deficits due to piled up to bad credit. The cost for the Bank’s shareholders was close to EUR 13 billion. UniCredit owns the largest Bulgarian bank at the moment – UniCredit Bulbank. Obviously, the same problems and flaws had accumulated for years in the regional structures of the Bank as well. The parent bank made several decisions to sell Bulbank’s non-repayable loan portfolios. The loans had been granted to different corporate clients, but they had been either unsecured or the collateral had been unsuitable to ensure their return. In the end, the loans have ended up being uncollectible and have had to be written off, i.e. the money has been appropriated by various Bulgarian companies that never repaid it. At the beginning of 2017, UniCredit sold to the Norwegian debt collection company DCA bad loans from its Bulgarian structure in the amount of EUR 93 million (here), in November of that year – another EUR 84 million, and in late September 2018 – another EUR 249 million (here) or a total of about EUR 430 million in the last two years. According to insider sources from banking circles, these serious for the Bulgarian market losses, have played a decisive role in the removal of Levon Hampartzoumian, the long-term Chairman of the Board of Directors and CEO of UniCredit Bulbank. A classified report of the “Supervision” inspectorate of the Bulgarian central bank (the Bulgarian National Bank, BNB), which leaked through Bivol’s platform for anonymous sharing BalkanLeaks (see here), reveals that UniCredit Bulbank’s corporate governance irregularities had not been a precedent, but a symptom for quite some time. The strategy of the Bank’s management is identified as problematic and a lack of adequate risk assessment has been established. Credit classification rules are circumvented by “manual data manipulation” for which it is not even known where it has come from. The inspectors conclude that “the level of credit and concentration risk is high“, although the Bank generally has a “good level and quality of capital”. The inspection had taken place at the end of February – the beginning of March 2010 under Order № RD22-0361 / February 17, 2010, of the BNB Deputy Governor in charge of the “Banking Supervision” Department. An analysis and evaluation of the Bank’s systems for credit risk management as well as the adequacy of its capital have been carried out. The implementation of recommendations from a previous inspection (from September 30, 2009) has also been assessed and out of six recommendations three have not been fulfilled, one had been partially implemented and two have been considered fulfilled. One of the unfulfilled recommendations refers to “manual manipulation,” making it clear that the Risk Exposure and Restructuring Committee exists only pro forma and is not involved in asset quality and credit restructuring. Remove violations from the regulatory framework. End the practice of the Credit Board and the Credit Committee of the Bank making decisions on the reclassification of risk exposures as only the Exposure and Restructuring Committee has this power. The “Internal Control” unit of the Bank to perform a current, independent review of the Bank’s loan portfolio for compliance with the classification group and the days of overdue risk exposures, thus assessing the risk management systems and the reliability of the supervisory reports. After reviewing a portion of the Bank’s risk exposures, the inspectors have formed the opinion that the following borrowers from 2010 require increased attention and should be subject to assessment for potential losses. One of the biggest clients considered to be a risk is the controlled by Vasil “The Skull” Bozhkov large construction companies – “Holding Patishta” (Roads) and” Most Story” with a total of BGN 49.32 million. As it is now known, several years later, the companies went bankrupt and their business was bought out by Tseko Minev, one of the two majority shareholders in First Investment Bank (FIB or Fibank). Even then, there were reasonable doubts that the bankruptcies were intentional, so it is unlikely that the unsecured loans of Bozhkov’s companies to UniCredit Bulbank have been repaid. The conclusions in the UniCredit Bulbank report are, however, much more optimistic than in a similar 2011 report on FIB that Bivol published two years ago (see here, here, here and here). Inspectors from “Banking Supervisors” then found that FIB did not have enough capital, but had enormous bad loans that it was trying to conceal with different accounting tricks and fool the BNB. On the contrary, UniCredit has a “good level and quality of capital”, according to the inspectors, although they indicate “a potential opportunity for the capital to be adversely affected in subsequent reporting periods, given the inadequately assessed credit risk”. In addition, the Bank can rely on capital support when needed from the parent bank. One of the things not established in UniCredit Bulbank is the concentration of loans to connected parties and persons gravitating around the Bank’s owners. The UniCredit report lacks the term “connected persons” at all. However, there is an exposure to entities and people linked to FIB – loans to “Nadin Group”, which are listed in the “Under Monitoring” category. This same group is associated with the purchase of the remains of the obsolete “Kremikovtsi” metallurgical giant. In a number of its investigations, Bivol revealed the links between “Nadine Group” and FIB. These companies were listed as large debtors to the National Revenue Agency (NRA), and after 2012 they were hit by the Main Directorate for Combatting Organized Crime (GDBOP) and the Specialized Prosecutor’s Office with accusations of particularly large-scale tax fraud. The links with FIB, however, led to one to the other FIB majority shareholder – Ivaylo Mutafchiev and a network of Cypriot offshore companies around Evdokiya Makalamuzi and the notorious Georgios Georgiou, again revealed by Bivol, as “proxy” owners of the business of the FIB bankers (see here). In addition, the UniCredit report has not established exposures to offshore companies that abound in FIB. UniCredit also appears to be in a much better condition in 2010 than CCB, which collapsed in 2014. This can be inferred from a comparison with a similar to the UniCredit report on CCB, published by the KTBFiles. What is to date the state of the exposures for which the inspection established in 2010 that there is “a need for reclassification to a higher risk group”? These are loans totaling BGN 205,033,000 including from the so-called bridge loans? Have the following inspections established who had been making the decisions to have the “exposures remain in the lower risk classification group” through “manual data manipulation”? Has Mr. Hampartzoumian participated in this “manual data manipulation”? Is the Prosecutor’s Office aware of the established practice of “manual data manipulation” in violation of the BNB legislation and regulations? Have other managers in UniCredit Bulbank participated in “manual data manipulation”? To what extent do the exposures, which were found to be at risk in 2010, overlap with the non-performing loans for BGN 249 million, which UniCredit Bulbank recently transferred to B2Holding? According to Art 63, Para 1 of the Credit Institutions Act (CIA), the information that the Bulgarian National Bank acquires or creates for the purpose of or in connection with banking supervision is a professional secret. For the persons referred to in Para 3 of Art 64 of the CIA there is the obligation for the preservation of this secret, including after termination of their relations with the BNB. This information may not be disclosed or provided to other persons or bodies, but only to the bodies referred to in Art 64 Para 1 of the CIA in connection with the performance of their functions and duties, and in the event that the assumptions referred to in that provision are present. Bivol sent questions to UniCredit Bulbank as well. They asked to be given some time to get acquainted with the report which was granted to them. We also sent our questions to the BNB, and in addition, we asked whether the departure of Mr Levon Hampartzoumian from the senior post was related to the transfer of the non-performing loans to B2Holding. The Bank kept silent. Who is responsible for breaches of the regulatory framework and why Banking Supervision has been unable for years to handle the “manual management” of problematic exposures in Bulgarian banks? It is clear from the UniCredit Bulbank report that this method of concealing bad loans of privileged entities is not a patent of Bulgarian-owned banks but also applies to banks with foreign owners but with Bulgarian management. It is obvious that the BNB inspectors identify precisely and competently the problems in the Bulgarian banks, but the conclusions of the reports and their recommendations are concealed at a political level and there are no sanctions. The concealing of the breaches is a purely political decision by the BNB’s leadership. This leads to chronic “bubbles” that at one point bust and cause systemic shocks, as happened with CCB. FIB was saved from such a fate only thanks to the massive State aid, garnished with a blunt lie to the European Commission about the collateral given by the Bank. The collateral was, in reality, the debt to the Bank of the destitute Cypriot – Georgios Georgiou – in the amount of over BGN 1.5 billion (see here). This outrageous fact emerged from a prosecution probe on a signal by Bivol. The Prosecutor’s Office is also responsible for the condition of the “bad apples” banks that have been known for years for using the deposits of citizens and businesses to fund the businesses of their owners in a drastic breach of the law. The last such example is a credit of EUR 20 million for FIB co-owner Ivaylo Mutafchiev, for which the Bank was fined, but it is not known whether the Prosecutor’s Office has sought explanations from Mutafchiev himself. The situation with the other co-owner Tseko Minev, who is hiding behind the jobless Cypriot Georgios Georgiou, is similar as he finances with money from the Bank his loss-inducing ski business in the winter resort of Bansko and the Vitosha Mountain near the capital Sofia. More than half a year ago, Prime Minister Boyko Borisov named him as the real owner of the concessionaire company “Yulen”. Instead of being charged with defrauding FIB, however, Tseko Minev is still enjoying a political and prosecutorial cover-up. This was also revealed by the blatant lie of Prosecutor General Sotir Tsatsarov, who promised on air during a late night TV show to tell who is the real owner of “Yulen”, but later changed his mind and never did it. BNB continues to protect the “bad apples”. Will the ECB clean them up? Eight Bulgarian banks are listed in the cable as problematic: FIB, CIBANK (then owned by the ex-girlfriend of Prime Minister Borisov – Tsvetelina Borislavova), Investbank (of Petya Slavova), International Asset Bank (known as the bank of SIC), CCB (of Tsvetan Vassilev), DZI (of Emil Kyulev, who was shot and murdered years ago), Central Cooperative Bank (of the TIM Group) and the Sofia Municipal Bank. Subsequently, DZI and CIBANK changed their owners and CCB went bankrupt. At present, the Bulgarian banks with owners suspected of alleged links to organized crime include FIB (of Tseko Minev and Ivaylo Mutafchiev), Central Cooperative Bank (TIM), Municipal Bank (acquired by the “Insa Oil” Group), International Asset Bank (Mladen “Madzho” Mihalev) and the Bulgarian American Credit Bank (BACB, Tsvetelina Borislavova). The shockwaves in the Bulgarian banking system, triggered by the bankruptcy of CCB, demonstrated the inadequacy of Bulgarian banking supervision. To ease tensions, the new leadership of the BNB undertook an asset quality review of all banks or the so-called stress test. In the summer of 2016, the BNB announced the results from which it appeared, with a few exceptions, that everything in the Bulgarian banking system was under control. As Bivol reported, these stress test results had been achieved through blatant manipulations of the necessary adjustments following the asset quality review. But the BNB has not been able to fool the ECB. The hopes of Bulgaria to quickly join the eurozone had been dimmed by European leaders. It is now clear that Bulgaria will be admitted to the European Exchange Rate Mechanism (ERM, known as the waiting room for the euro) only after it uncovers the real state of the “bad apples” in the Bulgarian banking system. To this end, the ECB launched a new stress test in November 2018. The first to undergo it, are the three largest banks – UniCredit Bulbank, DSK Bank, United Bulgarian Bank and three of the “bad apples”: First Investment Bank, Central Cooperative Bank and Investbank. The results are expected in July 2019.